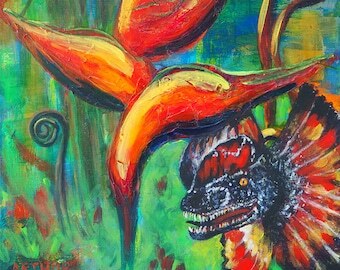 Dinosaur Wall Art, Dinosaur Painting, Colorful Painting of Dinosaur Wall Decor, "Heliconia and The Spitter" Original Acrylic Painting! 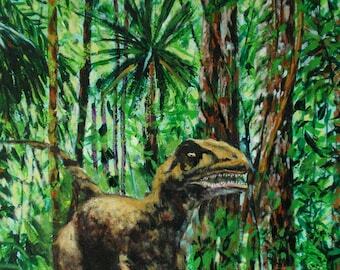 This dinosaur wall art is an original acrylic dinosaur painting that dinosaur fans will love to add to their wall décor. Travel back in time with the Pterasaurs - magnificent flying dinosaurs that commanded the sky during the Jurassic period. 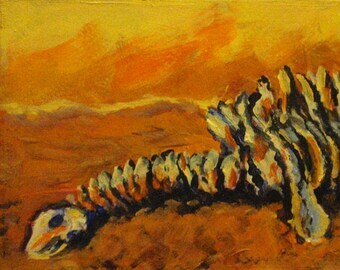 Fans of dinosaur wall art will enjoy gazing at the vibrant "Pterasaurs at Sunset" in this original acrylic dinosaur painting. 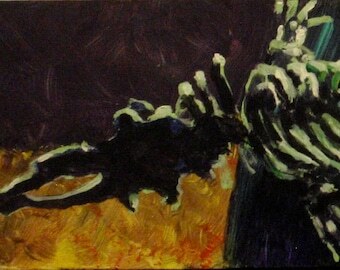 It is a gorgeous, one of a kind painting on canvas by Texas artist Ken Arthur. 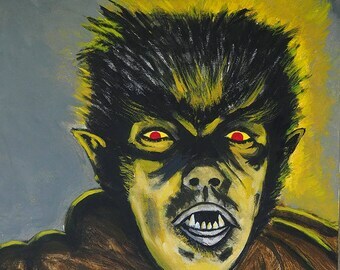 Visit http://artxarthur.com to see more of Ken's amazing canvas paintings and sculpture. His work is truly stunning. -These creatures are giant Pterosaurs with 40 foot wing spans! 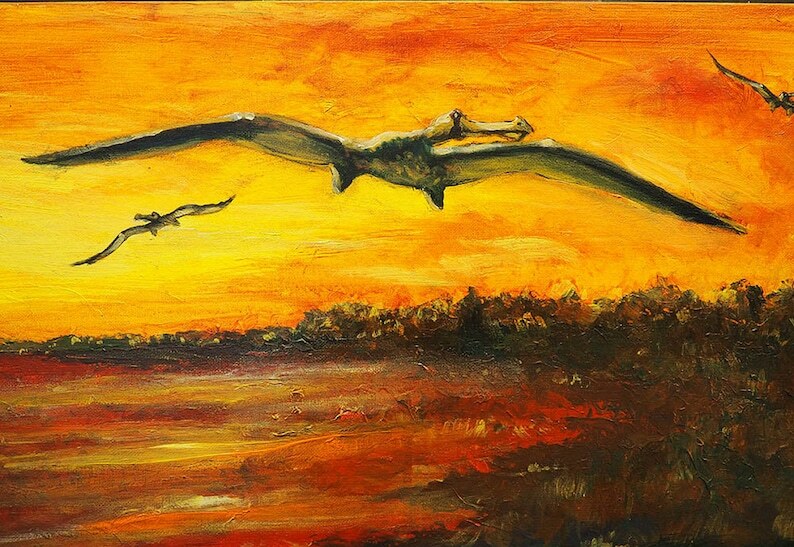 -I wanted to add these Pterasaurs to one of my recently painted landscapes, "Red Sunset," because I knew these flying creatures would liven up the sky. Shop was amazing and helpful. The T-Rex art fits right in!! Please contact me, the Owner, with additional requests other than what is offered.